Super Tuesday is underway for the Democratic presidential candidates. Below is the latest news and full Democratic results as they come in. Based on our analysis of the vote, ABC News projects that Bernie Sanders will win the Minnesota Democratic caucuses. Based on our analysis of the vote, ABC News projects that Hillary Clinton will win the Massachusetts Democratic primary. Based on exit polls, ABC News projects that Clinton will win the Georgia Democratic primaries. Clinton won more than 80 percent of black votes in Georgia, according to preliminary exit poll data. Nearly half of the Democratic primary voters in Georgia are black. Liberals turned out in record numbers in Georgia, with more than 56 percent of voters polled labeling themselves as Democrat, according to preliminary exit poll data. More than half of liberals chose Clinton over Sanders. Clinton won women by more than 2:1 ratio. Women make up about 60 percent of voters in Georgia today. Democratic presidential candidate Sen. Bernie Sanders speaks during a primary night rally in Essex Junction, Vt., on March 1, 2016, on Super Tuesday. Based on exit polls, ABC News projects that Bernie Sanders will win the Vermont Democratic primaries. Sanders won a whopping nine in 10 voters under the age of 45, according to preliminary exit poll data. Four in 10 voters in Vermont were independents, the highest of any Super Tuesday state. Sanders won more than 90 percent of the independent vote. Three-quarters of voters said empathy or honesty was their number one trait desired in a candidate. Nearly all of them voted for Sanders. Three-quarters of voters were liberals. Nearly 9 of 10 of the liberal vote went to Sanders. Sanders also won big with moderates, taking home about 80 percent of the vote. Today, after voting in Burlington, where he once served as mayor, Sanders got a bite to eat with his son and stopped by his headquarters to thank his staff and volunteers. Based on exit polls, ABC News projects that Clinton will win the Virginia Democratic primaries. Clinton was boosted in Virginia by strong support from women and the vast majority of voters polled who said they preferred experience in politics over an outsider. Clinton won 2-1 among women, who made up a majority of voters in Virginia today. Her lead was much larger among non-white women, but she still carried six in 10 of votes by white women. More than eight in 10 of voters in Virginia said they preferred someone with political experience rather than an outsider. Clinton won 7 in 10 of those votes. One of Clinton's best groups in Virginia was seniors, who made up about a quarter of voters today. She won more than 80 percent of their votes. 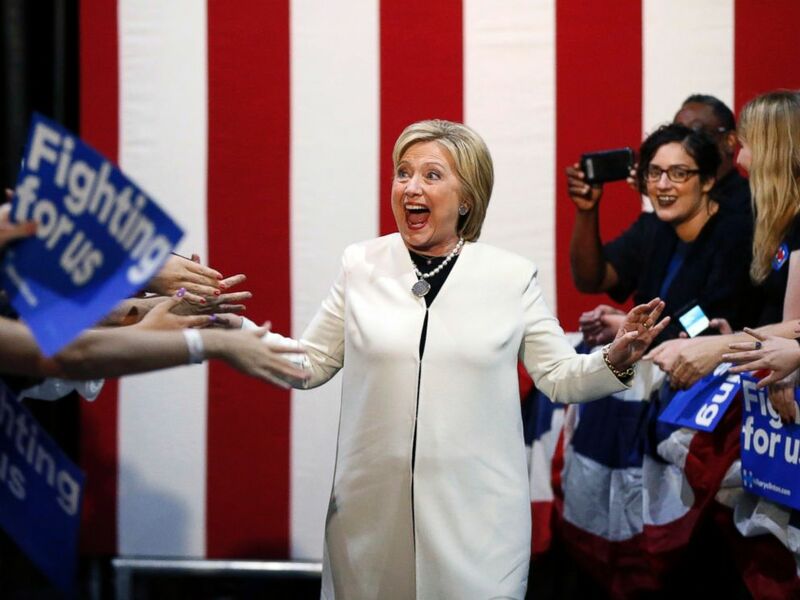 Democratic presidential candidate Hillary Clinton reacts to supporters as she arrives to speak at her Super Tuesday election night rally in Miami on March 1, 2016. Based on exit polls, ABC News projects that Clinton will win the Alabama primary. Clinton won nine in 10 of black Democratic voters in Alabama, who accounted for nearly half of all Democratic primary voters, according to preliminary exit poll results. The former secretary of state also won three-quarters of women voters, who made up nearly 6 in 10 voters in Alabama. More than eight in 10 Democratic voters in Alabama want the next president to be someone with political experience, rather than someone from outside the political establishment. Based on exit polls, ABC News projects that Clinton will win the Tennessee primary. Clinton won more than 80 percent of black votes in the Tennessee Democratic primaries, according to preliminary exit poll results. She also won two-thirds of women voters, a majority in today's primaries in Tennessee. Sanders won six in 10 of the independent vote, although they only made up about a quarter of the electorate. Nearly six in 10 voters said the economy or healthcare was the issue they were most concerned about. Clinton led with two-thirds of these voters. Based on exit polls, ABC News projects that Clinton will win the Arkansas Democratic primary. Clinton won three-quarters of women Democratic voters, who made up the majority of voters in the Arkansas primaries. She also took in nearly nine in 10 of black voters in Arkansas, who accounted for about 25 percent of the primary voters. Arkansas voters, regardless of their race, said they trust Clinton more than Sanders on the issue of race relations. Clinton also won among older voters in Arkansas, taking eight in 10 voters over the age of 45. Based on exit polls, ABC News projects that Clinton will win the Texas Democratic primary. Clinton also won women 2-1, similar to her results among women voters in other Super Tuesday states, according to preliminary exit poll data. Voters who described themselves in the exit polls as "very liberal" were divided between Clinton and Sanders in Texas. Experience was the main priority for slightly more than 30 percent of Democratic voters in Texas, and they overwhelmingly backed Clinton. More than 80 percent of voters said they preferred a candidate with political experience over an outsider, and seven in 10 of them chose Clinton. Based on exit polls, ABC News projects that Sanders will win the Oklahoma Democratic primary. Although women made up the majority Democratic voters in Oklahoma, Sanders beat her by more than 20 points among men, which was enough to give him the edge. 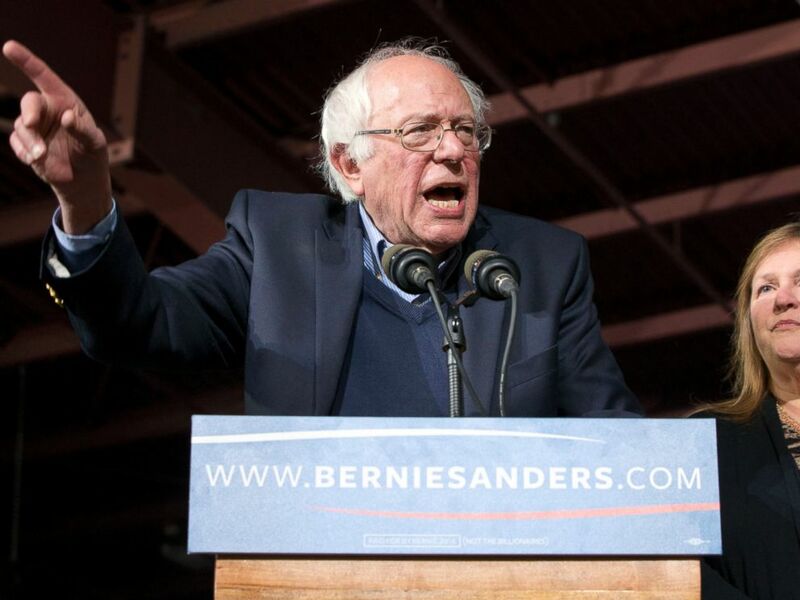 Similarly, despite three-quarters of voters favoring political experience over an outsider, Sanders won by a huge margin among outside voters, according to preliminary exit poll results. Nearly three-quarters of Oklahoma Democratic voters were white, and Sanders won their vote by a double-digit margin. And even though older voters made up two-thirds of the electorate, Sanders won with voters under the age of 45, taking in about three-quarters of their votes. Based on our analysis of the vote, ABC News projects that Sanders will win the Colorado Democratic caucuses. Based on our analysis of the vote, ABC News projects that Clinton will win the Massachusetts Democratic primary. Clinton won among women voters by a 15-point margin in Massachusetts, but Sanders won by a similar margin among men, according to preliminary exit poll data. Clinton and Sanders ran evenly among white voters, who made up the vast majority of the electorate. Clinton's 61-39 vote among non-white voters provided an advantage for her. Nearly 8 in 10 voters said they want the next president to have experience in politics, while nearly half said they want a president who will continue Obama's policies. Clinton won among both groups. Sanders won easily among voters under 30, but Clinton got more than 30 percent of the vote in that group. Based on our analysis of the vote, ABC News projects that Sanders will win the Minnesota Democratic caucuses. Hillary Clinton has won the Democratic caucus.